Jazz found its second home in Paris, France. Josephine Baker and Charleston dance paved the way for Sidney Bechet and La Nouvelle-Orléans music. It started in Pigalle and moved to Saint-Germain. Surrealist were fascinated by it, but it was existentialists who cherished it. French films used a good deal of it as their soundtrack, or even their story. Cinéma de papa liked it (Marcel Carné) and the rebellious figures of modern cinema, known as Nouvelle Vague (New Wave), liked it even more: a generation confronted another generation, nevertheless jazz stood there as their only concurrent kick. The anti-colonialist attitude and a certain tendency toward exotica made Paris of post-WWI the place for American drifters and jazz community. They were free, accepted and treated like kings. "The best of America drifts to Paris," said F. Scott Fitzgerald, "the American in Paris is the best American." So it was when Louis Armstrong, Benny Carter, Lionel Hampton, Kenny Clarke, Miles Davis, Bill Coleman, Don Byas, Bud Powell and many other resided in the city for shorter or longer periods. The readers of this blog have probably noticed that lately I've been focusing on jazz in Hollywood films. There is no particular reason for this interest, except re-watching some of the films I had seen light years away and becoming slightly nostalgic about some of them, especially the one I'm going to mention today. 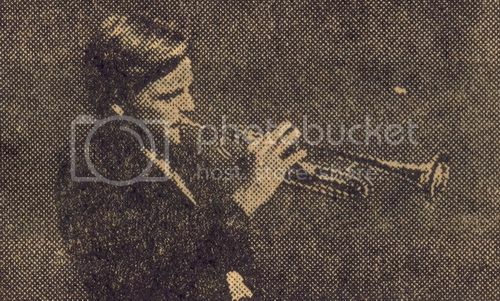 In the late 1990s, me and my two sisters, all of us in our teens, became fascinated by a film called Young Wolves about the life of a good-looking trumpet player and a troubled girl in the Deep South. However, later we discovered that the original name, just altered to Young Wolves in Persian-dubbed version, was All the Fine Young Cannibals. 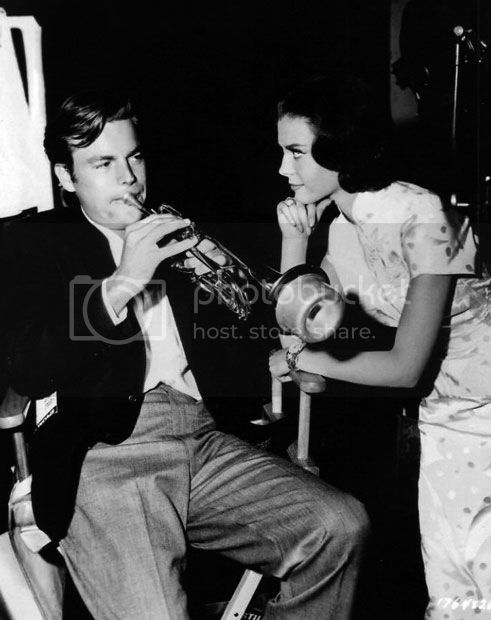 Again, after some years I heard some rumor that the film was loosely based on the life of Chet Baker, which considering the casting of Robert Wagner, one can argue that MGM producers wanted the young Chet and his rebellious life as the role model for the film's protagonist. In 1941 one of the most commercially successful and artistically enduring comedies of all time was released: Ball of Fire. The story was set against a mansion in which a bunch of old professors (with exception of one young chap) are collaborating to write an encyclopedia. The problems arise when they reach the "slang entry" of the project, and learn that their knowledge for writing that section is so narrow that a volunteer is needed to leave the secluded mansion and map the changes in the language of the street. Only seven years passed since the completion of the Ball, producers thought that the very successful idea can be used again, and this time the professors should search for a new word, JAZZ! 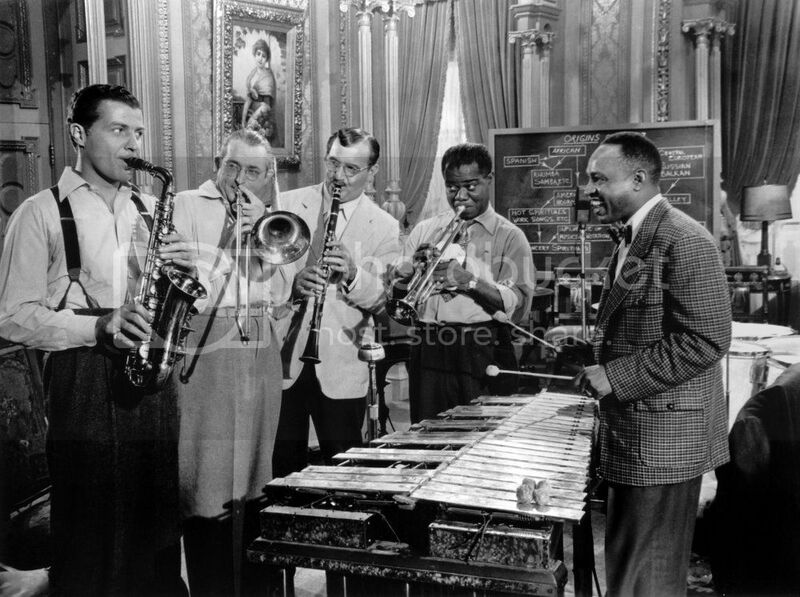 The script, written and rewritten by an army of writers, based on an original idea by Billy Wilder and Thomas Monroe, was considered too messy to be credited to anyone, therefore the whole weight was put on jazz and jazz musicians -- and rightly so. Aside from principle stars, Danny Kaye and Virginia Mayo, the studio hired Louis Armstrong, Tommy Dorsey, Charlie Barnet, Lionel Hampton, Mel Powell, Louie Bellson and many more to carry on the jazz weight of the film which fell out of balance with rather poorly narrated romantic story and gangster sub-plot. Hawks' main achievement was tuning to whole ensemble into a celebration of unappreciated art of jazz, as if in the process he was reflecting on his status in Hollywood as a misunderstood director. 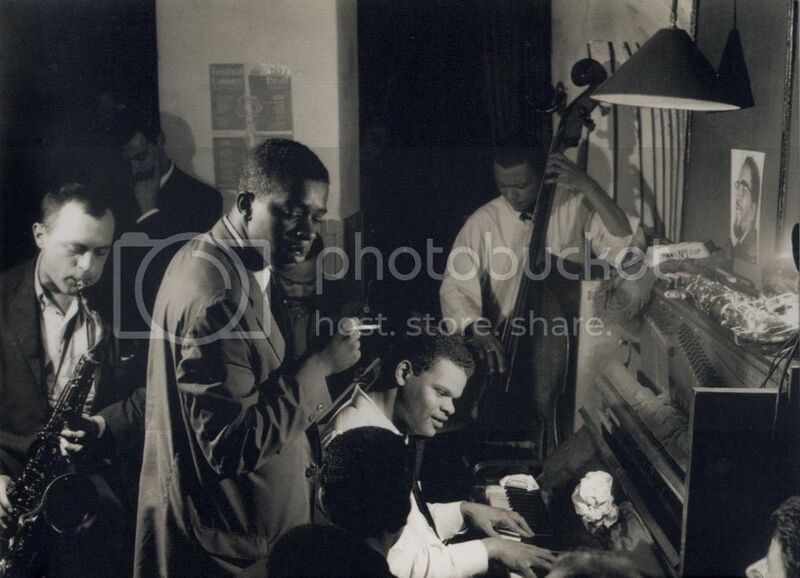 Byrd in Paris with Walter Davis (p), Bobby Jaspar (ts) and Doug Watkins (b). Trumpet player, composer, band leader and jazz educator Donald Byrd passed away last month. He left a prodigious legacy behind which among them his long and abundant tenure with Pepper Adams remains my favorite. Nat Hentoff, during his exuberantly active years as the session attendant, liner note author and producer, wrote more liner notes for Donald Byrd than any other trumpet player of the 1960s. What follows is a small part of Hentoff's illustration of Byrd, as well as his attempt to reflect Byrd's views on various issues - from educating jazz to church music and evaluation of his colleagues. The continuing growth of Donald Byrd as a uniquely melodic improviser with authoritative command of his instrument has not been sufficiently underlined, it seems to me, in the past couple of years. Several critics have, however, been cognizant of Byrd's increasingly substantial achievement. Frank Kofsky, for one, noted in Down Beat that "the history of Byrd's recording career has been one of consistent improvement; and the British critic, Michael James, has observed in the Jazz Review that Byrd's "tone sings loud and clear throughout the range of his horn, and his invention has more that kept pace with his improved technique...There is not a hint of blandness technical confidence will sometimes bring." Also heartening is the fact that Byrd does not find necessary to pound home the point that he has roots. A blues feeling courses through everything he plays, but he is also able to range through a much wider variety of moods than are several of his more self-consciously "hard" contemporaries. There is in Byrd a linkage to sunny, light-hearted jazz playing as well as to vigorously assertive self-expression. 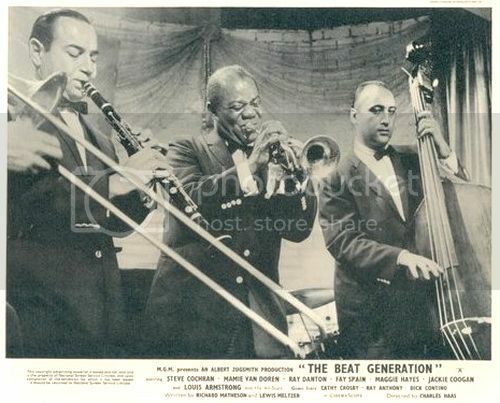 I spent the last week researching and writing about the evolution of Beat cinema and films about the Beat Generation. The occasion was an assignment for writing a 3000-word critique of the new adoptation of On the Road by Walter Salles which is going to be published on Iranian Film Monthly. My opinion about the film, and the predictable disillusionment I had after watching On the Road, as well as arguments about problems of translating Beat literature to moving images need another place and time to be fully explained. However, the process of writing concurred with discovering new films and revisiting some of the milestones of Beat cinema which many of them would appeal to jazz people. Films such as Pull My Daisy (with Jack Kerouac's scrips and voice-over and a jazz score), Shadows (containing Charlie Mingus's soundtrack), The Connection (the groundbreaking Shirley Clarke film with Freddie Redd and Jackie McLean) and even the mediocre Subterraneans (based on Kerouac's novel) which features Gerry Mulligan's pianoless quartet have their own merits that in many different ways exceed so many limitation of what Salles offers us.